10 Acres with a view! 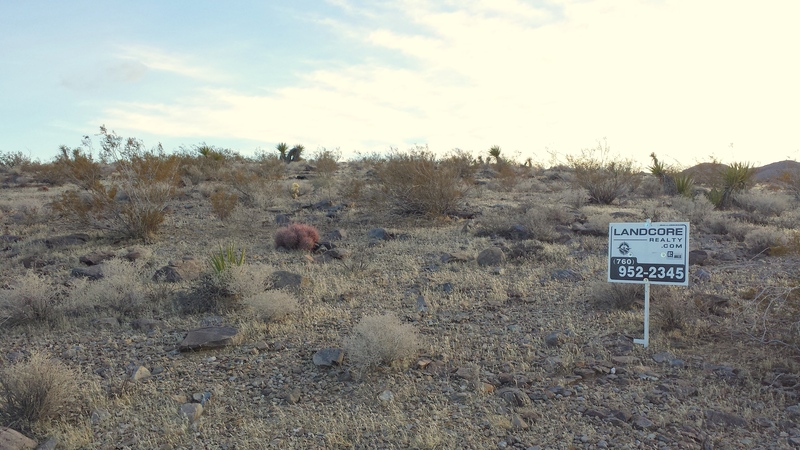 This property sits atop a hill 4 miles to the south of Slash X Cafe in the Barstow area. Barstow is in the San Bernardino County, one of the largest counties in the United States. As the crow flies, the property sits 12 miles south of Barstow and 18 miles north of Lucerne Valley. The owner of this property is offering to carry the financing, which means that for only $2,500 down you could own 10 acres of your own. The seller would carry a loan of $3,450 amortized at 7% interest for 3 years. Your monthly payments would only be $106.53. The area is open desert with very few homes which makes it perfect for off road vehicles and dirt bikes. The Slash X Cafe is 4 miles to the north of the property. The Slash X Ranch was originally founded by Lee 'Sourdough' Barry. From the 1930's through the 50's, Barry had one of the biggest ranches in San Bernardino County with about 70,000 acres. He built the original bar so that he and his cowhands could have a bar close to the ranch itself. Slash X is enormously famous with off road enthusiasts and even a few celebrities have stopped in to eat. Robby Gordon, Brad Pit, Angelina Jolie and Quentin Tarantino have visited the cafe. A bar scene from 'Erin Brokovich' (movie starting Julia Roberts), was also filmed at the cafe. Every weekend, families, bikers and riders of all kinds flock to the cafe. According an article with the Slash X owner Brian Lynn, in the local Daily Dispatch, "They come in everything. Street bikes, quads, race cars, race trucks, airplanes, gyrocopters," said Lynn's wife, Gail. "We haven't had a boat yet," she added with a chuckle. You never know who is out enjoying the desert on the weekends. Imagine driving out for a weekend camping trip at the top of your 10 acres overlooking the valley. 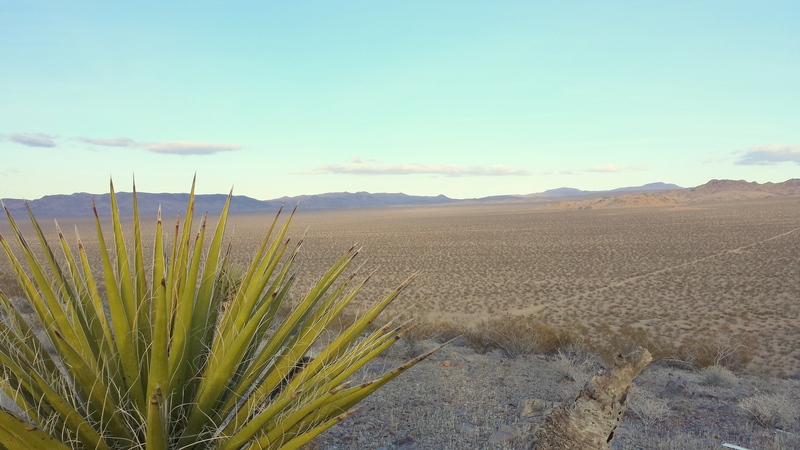 Ride the desert during the day enjoying miles of open space, but come back to catch dinner over the fire or at the Slash X Cafe and see one of our spectacular sunsets! Directions From Barstow: from the 15 and Barstow Rd. (Highway 247), turn onto Highway 247 south for approx. 12.8 miles, turn right onto unmarked dirt rd. and follow for approx. 1.05 miles, turn left at the base of the hill, follow road up the hill to property. 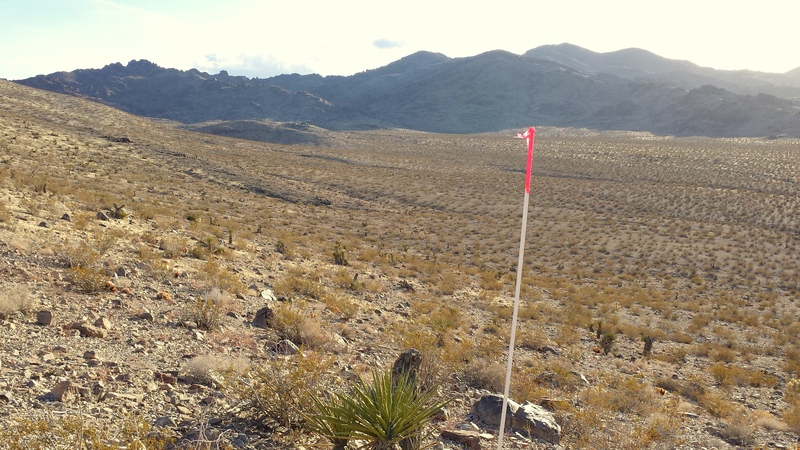 Approximate corners are marked with 10 foot white poles topped with pink tape. Directions From Lucerne Valley: turn onto the 247 North (towards Barstow) and continue for approx. 20.4 miles, turn left onto unmarked dirt rd. and follow for approx. 1.05 miles, turn left at the base of the hill, follow road up the hill to property. 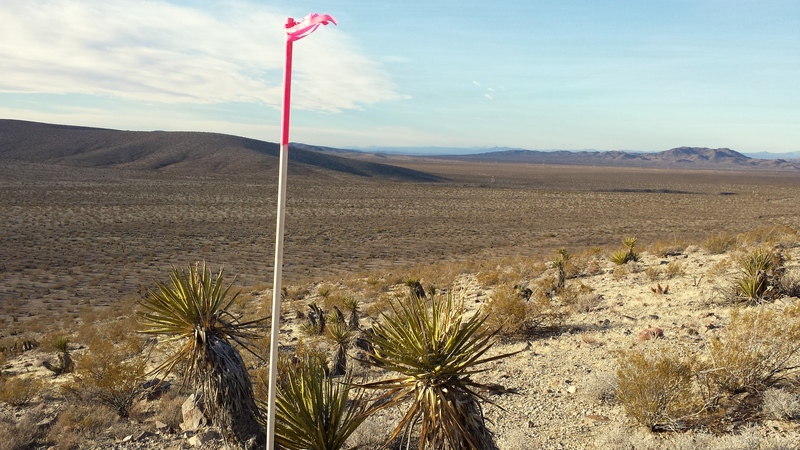 Approximate corners are marked with 10 foot white poles topped with pink tape.